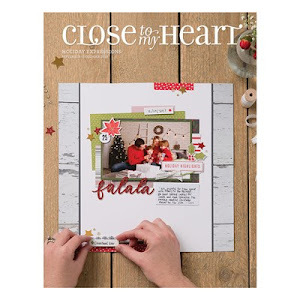 I'm playing along with the Atlantic Hearts Sketch Challenge this week and I thought I would continue using my favorite Close To My Heart papers, Skylark. You can see the sketch my cards are based on here. Be sure to cruise around their blog a bit as there is a lot of fabulous artwork there. Part of the beauty of the Skylark papers are the exquisite drawings on one of the sheets. I wanted to use the beauty of the paper itself for the focal point of my cards. Only one stamp was used between the two cards, the "Thinking of you" on the first card. 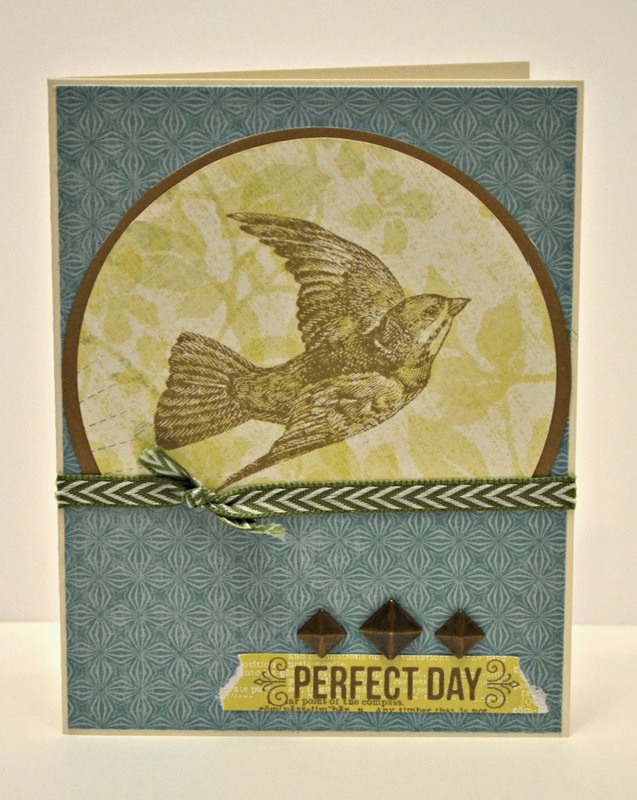 I have a fascination and love of birds, so the "perfect day" sentiment torn from the zip strip sums up what I feel when watching 'my' birds at the feeders or in flight. 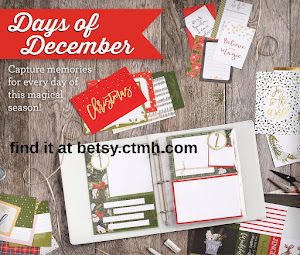 Hope you enjoy my cards and the other entries at the AHSC blog. Click on the item number to order from my website. Fabulous cards. I love them both, and I love when you can put together a card with little work. These will be so easy to duplicate, as I will be CASEing them for sure. Thanks for playing along with us at Atlantic Hearts Sketch Challenge. Great cards, I really love them, the colours and everything just work so well together. Thanks for playing along with Atlantic Hearts Sketch Challenge! Both card are very nice and work well with this weeks sketch! This is one of my favorite paper packs. Great job in showing casing it !! Thanks for joining us at AHSC! Both cards are very nice. The second one is gorgeous. The sentiment really goes well with the image. I just love it. 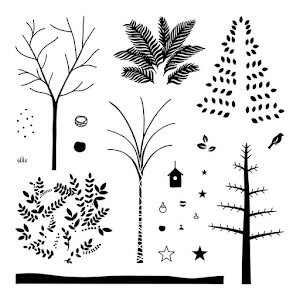 These are so pretty and I love how you have used the patterned paper to be the focal points on your cards. Thanks for playing along with AHSC this week. 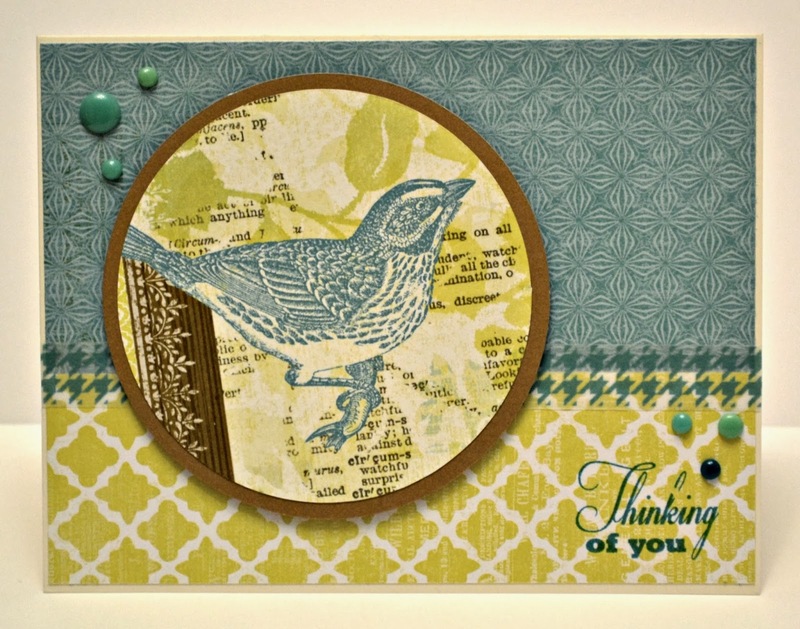 Great card, your work with Skylark is very inspiring to me, makes me want to play with mine that is waiting for some creative love…lol Thanks for playing along with AHSC! love the way you incorporated all the special features of the paper in these. When Opportunity Knocks? Open the Door! Throw Back Thursday: Remember D.O.T.S.? Save the Studio J Way!